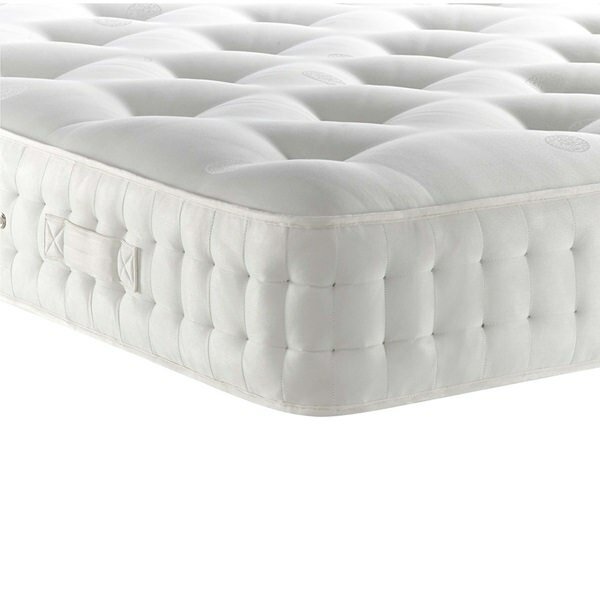 We’re guessing you’ve heard of the memory foam variety and all the breathless testimonies about how fab it is. And now you’re a good deal more curious about them, right? Well, here’s the lowdown on these memory foam mattresses and a good old fashioned guide that’ll ensure you aren’t tossing restlessly between a purchase. Obviously, it makes sense to start at the Big Question: why on earth is memory foam causing such an impact (soft as that might be) around the world? To answer it, we need to examine the innate categorical qualities of this type of mattress. 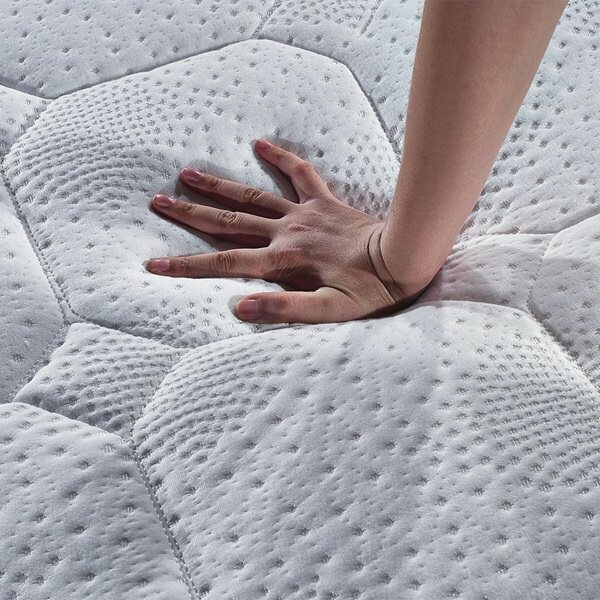 The most commonly-used mattress is the ‘pocket sprung’ design i.e. hundreds of springs sewn into their own fabric pocket. 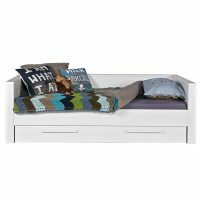 These work together for a fairly flat and bouncy surface, ideal for those who prefer their sleep to be straight-backed, supportive and cool. Even more stability can be achieved with an open coil mattress – basically the same concept, only with a wire frame linking the springs in unison. 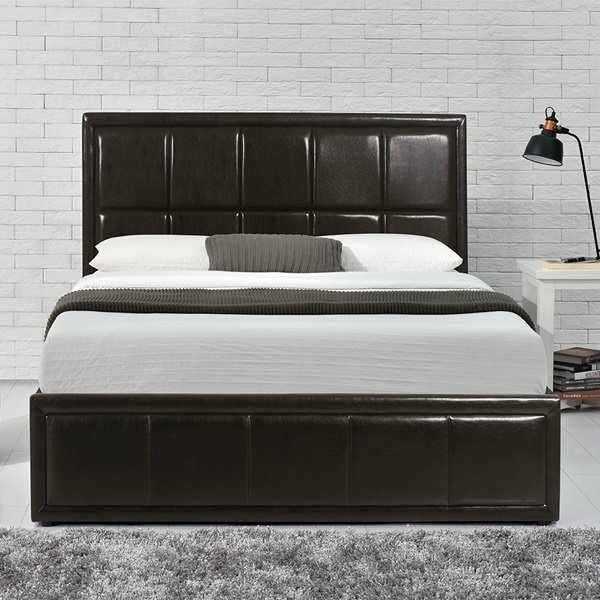 Traditional beds would be almost exclusively paired with them, as they’re cheap to manufacture and hark back to the earliest mattress methodologies. 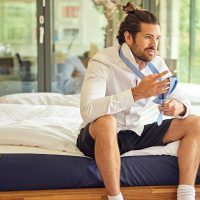 We like to be treated like a king or queen when we crawl into bed, and memory foam mattresses do just that, serving our natural physicality with clever, mutable design features. Chief amongst them is the elastic quality of the foam, which is derived from polyurethane (PU for short). By their infinite wizardry, manufacturers have created this synthetic material to provide a surface that changes shape with any pressure it’s experiencing. So, when you’re snoozing, the mattress will curve around your spine, your knees, the shoulder you tend to sprawl on – any body part that’s hitting the top. It’s best described, we reckon, as a slight sinking effect, like a gorgeous sponge that’s waiting for you every day. Additionally, it’s far better for heat retention than the other mattresses we glossed over so that autumnal or winter chill is held at bay. And to cool it down, simply change to a thinner bedsheet and duvet. 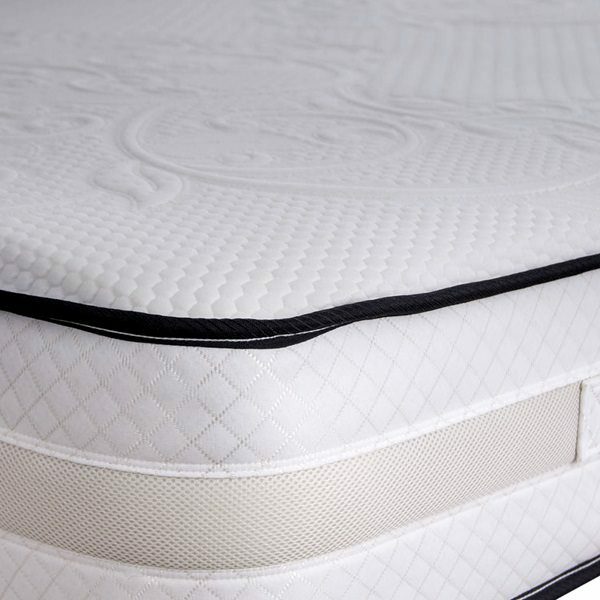 Since the memory foam is incredibly yielding and gentle, it’s also well-suited for people with sensitive body areas. We’re talking about those with chronic pain, injuries and discomfort, the kind that’s exacerbated on a flatter sleep base. Memory foam offers a different kind of support: snuggling your arms, legs, back and hips onto an impressionable material, caring for a more knotted sleep posture if you’re prone to it. 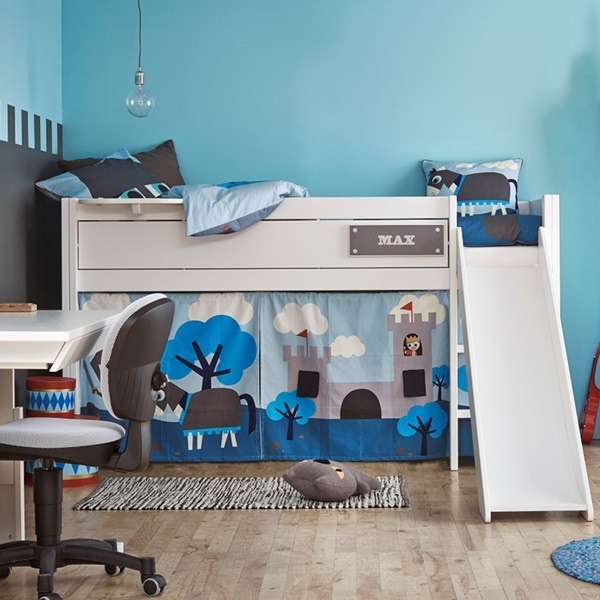 Whatsmore, memory form mattresses are available for kids beds and cots, so even the littlest munchkin can revel in absolute comfort come night time. Oh, and before we forget, there’s the fact that memory foam doesn’t rely on springs to deal with exerted force. Pressure is distributed across the whole item. Essentially, you don’t have to worry about a lot of weight causing damage on one section, should that be the case over the mattress’ lifespan. A warmer set of physical properties that collect the heat from your body. A pliant surface, much better for anyone who prefers to sink into their mattress, as opposed to just lying flat on it – side sleepers are probably going to fall into this demographic. 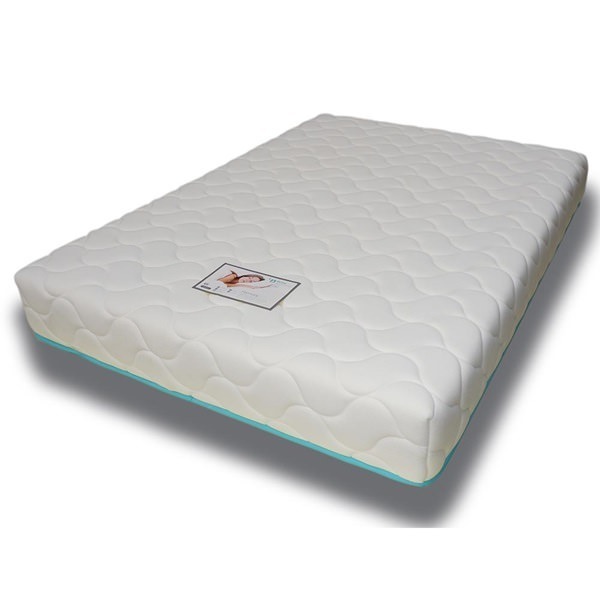 Ergonomic aid for soreness, muscle fatigue and stiff limbs, provided by the gentle, adaptable quality of memory foam. More reliable long-term use due to the lack of springs having to bear your body weight. We’ve established that memory foam is the prime choice for people who value a more ensconcing natural sleep. Yet the perks of modern design can forge a middle ground between memory foam and the more stable qualities of a spring-based mattress. There’s a growing appetite for pocket sprung mattresses with a memory foam cover layer. As such, they’re an all-rounder, slightly lessening the relative advantages of both mattresses to bring you something of each. In practice, you’ll have a soft top that warms up quickly, whilst enjoying the bounciness of the coils in the main mattress lining. There isn’t the full, deep malleability of proper memory foam, but your spine will still have freedom to keep its curved shape at night. Like any luxury, the attributes we’ve talked about don’t look after themselves. 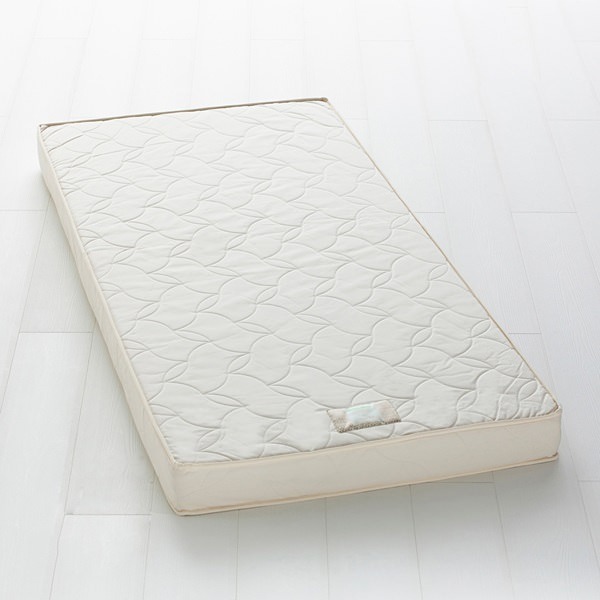 Memory foam mattresses need care from you to prolong their usefulness. They’ll last anywhere between 8-20 years, depending on how well you maintain them – but we highly suggest buying a new one when a 7-year period comes to an end. Ensure there’s a decent base for it! Poor, weak bed slats (and those with gaps larger than, say, 5cm) will reduce the item’s sustained supportiveness. Turn the mattress around, not over. Memory foam is usually not double-sided, so you don’t have to flip it periodically, but rotating the ‘top’ and ‘tail’ ends is beneficial for skirting concentrated pressure build-ups. Invest in a mattress cover. Memory foam is naturally hypoallergenic anyway – i.e. resistant to dust and bacterial irritants – yet a cover will strengthen that quality, as well as making it easier to wipe/vacuum. These mattresses, once given direct contact with fluids, are very absorbent; it’s not easy to dry them out! Keep the mattress free of heated sleep aids. This includes hot water bottles, electric blankets and radiators close to the edge. They’ll weaken the foam’s molecular structure, and you won’t need them, due to the material’s added warmth retention. And there we have it… you can fall back into the exact mattress you’ve been searching for, giddy from all the benefits of a beautiful sleep. To learn more and find the perfect bedfellow for you, read our ultimate guide to mattresses. Otherwise, call Cuckooland on +44 (0) 1305 231231 or email our Customer Service Dream-team to discuss sizes, delivery requirements, or even the grander plans you may have for your bedroom décor (we don’t just write indulgent stuff about Mattresses! ).